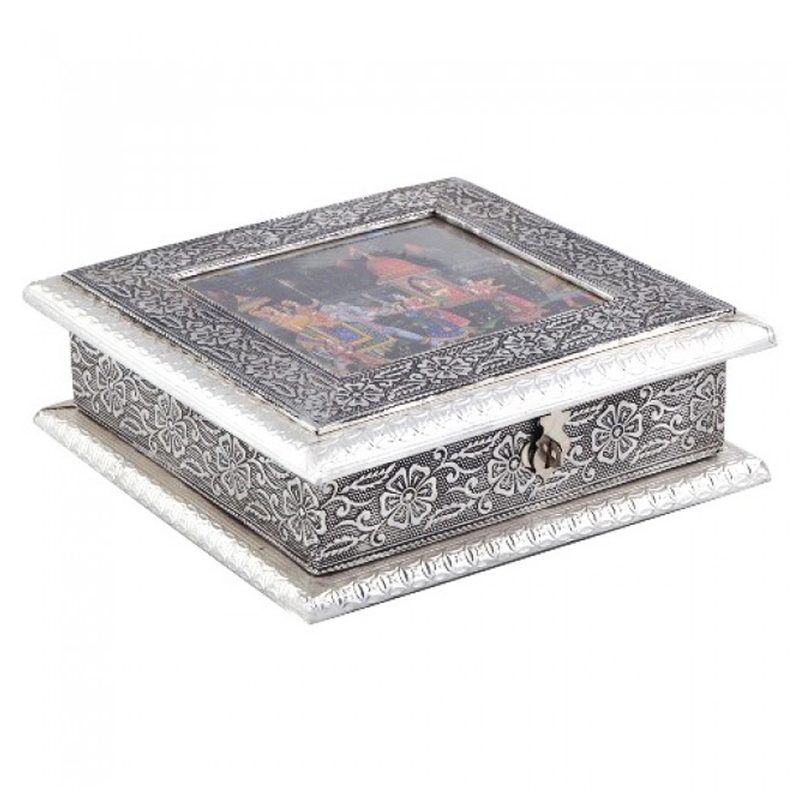 This oxidized product is one of the most beautiful creation of the artists for storing dry fruits or just for decorating purpose. It is like Read More..a box with a latch on it. A beautiful painting is juxtaposed on top of it to make the product unique. The box is silver in color and rectangular in shape. Detailing are done all throughout the box on all its sides which helps to make it more attractive. Show Less..